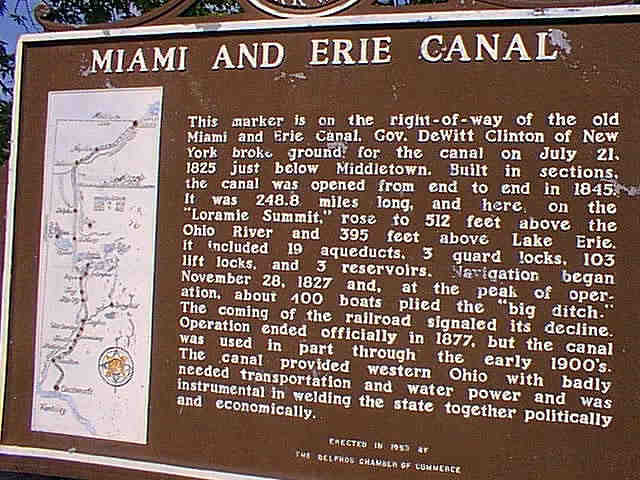 This historical marker stands in Delphos at 5th street and the canal. In nineteenth century, before the railroad came to Venedocia, all commerce into and out of Venedocia came via this canal. Delphos is about 8 miles from Venedocia. Venedocians would make the two day round trip by wagon to Delphis through swampy forests to bring goods to and from the canal. The historical marker mentions Ohio's Governor (William) Bebb who helped his cousin (also named William Bebb) found Venedocia.